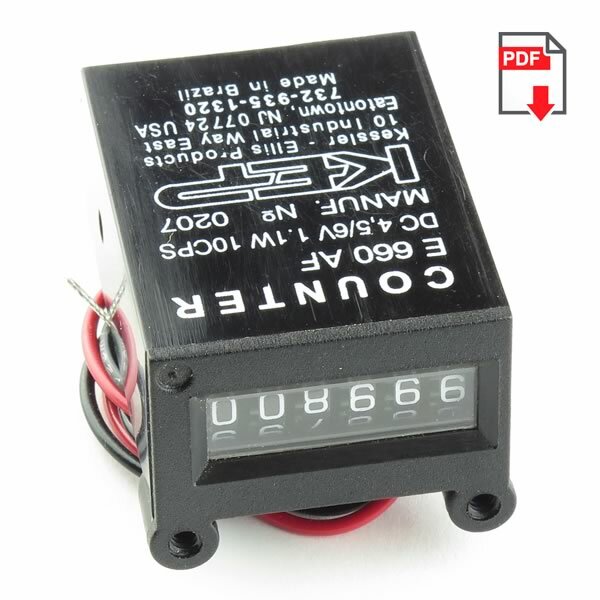 Kessler Ellis 6 digit counter counts one digit each time it receives a 4.5V up to 6VDC impulse. Counts up to 999999 (non resettable). These are found in coin operated game, laundromats, gas stations, pinball games, copiers etc. Size 1.64” X 1.19” X 0.72”(excluding 2 mounting ears). Has flexible color coded power input leads. New old stock. Sold in a package of 6.